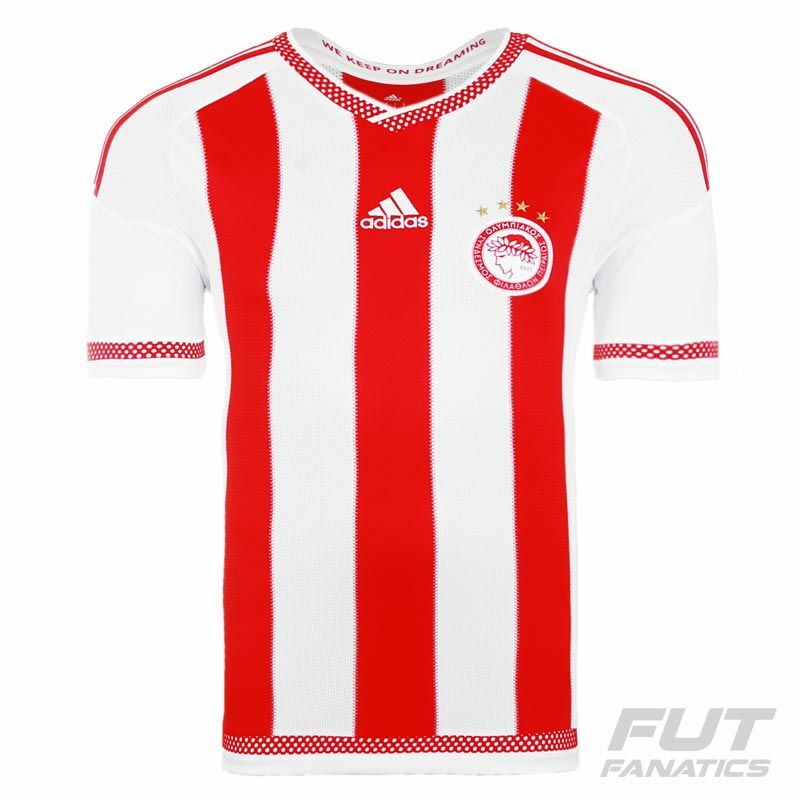 Olympiacos is the most popular club in Greece and the Adidas brings the gorgeous Home 2016 Jersey. This piece can be customized with name and number, using the official fonts of the team. Made by Adidas of polyester fabric with CLIMACOOL technology. More info. 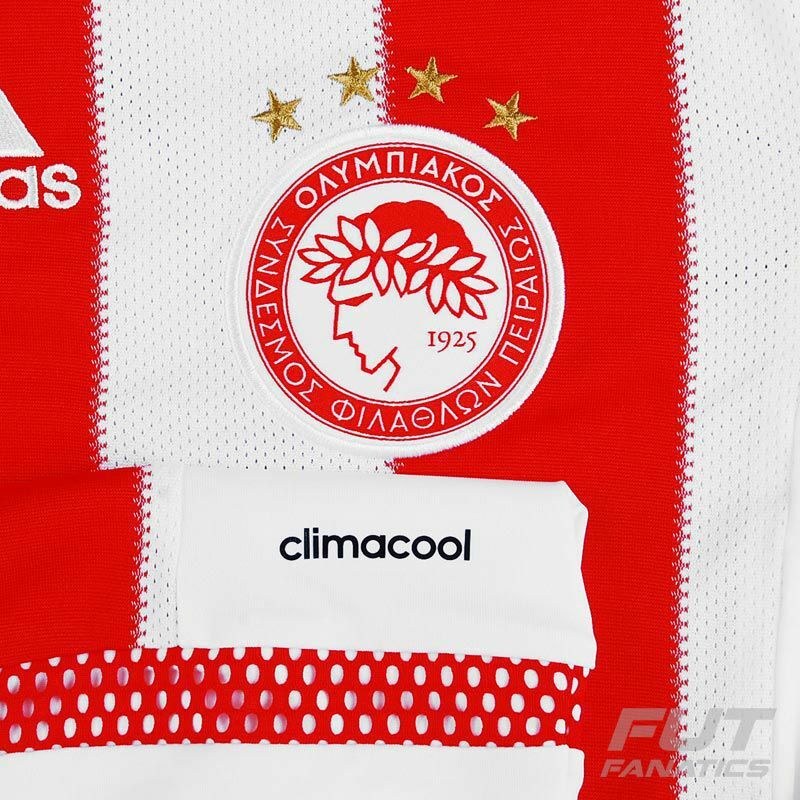 Olympiacos is the most popular club in Greece and the Adidas brings the gorgeous Home 2016 Jersey. This piece can be customized with name and number, using the official fonts of the team. Made by Adidas of polyester fabric with CLIMACOOL technology which takes care of ventilation and repels moisture from your body, providing greater comfort. 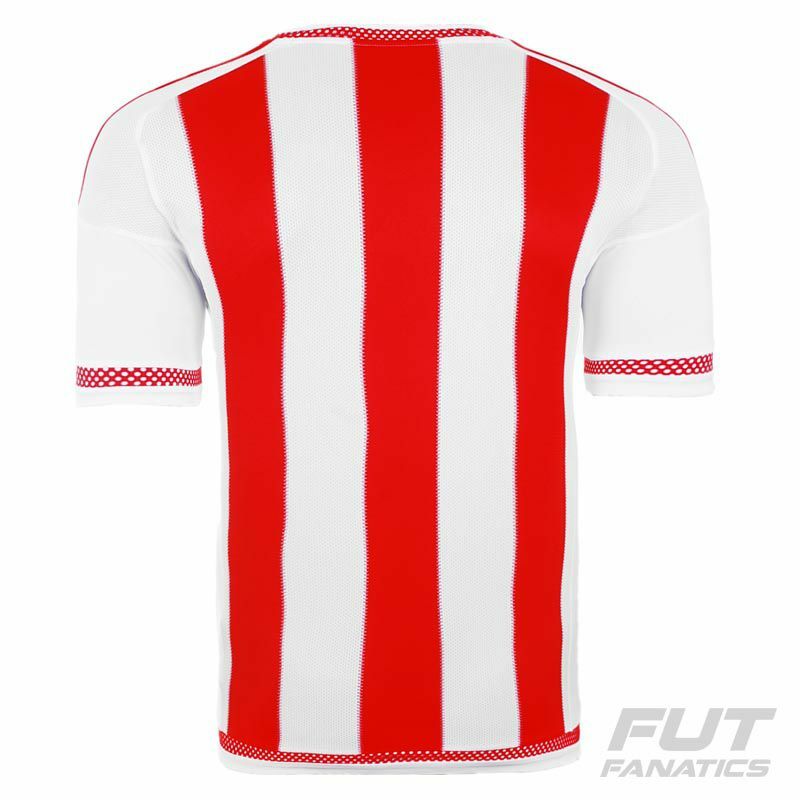 Adidas Olympiacos Home 2016 shirt is white and red with vertical stripes and a red finish with white tiny holes on collar cut in V, on tip of sleeves and on bottom of shirt. 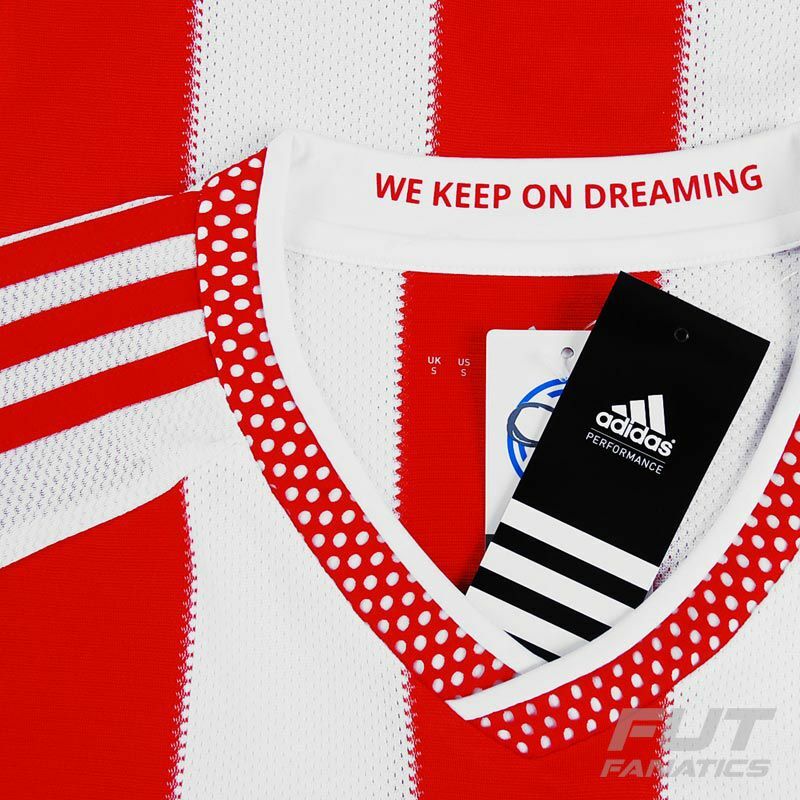 The phrase "We will keep dreaming" is inside the collar. The team badge and the Adidas logo are embroidered on chest. Olympiacos F.C., also known simply as Olympiacos, is a Greek professional football club, part of the major s Olympiacos CFP, based in Piraeus. Their name was inspired from the Ancient Olympic Games and along with the club's emblem, the laurel-crowned adolescent Olympic winner, encompass and symbolize the morality, the honour, the vying, the splendor, the sportsmanship and the fair play value of the Olympic ideal of Ancient Greece.